“Pablo Beltran” is a member of the leadership of Colombia’s last-standing rebel group ELN and the guerrillas’ former chief negotiator in peace talks with the government that failed in 2019. Beltran war born in 1953 as Israel Ramirez in San Gil, a town in the central Colombian Santander department. While studying chemical engineering, Beltran joined the ELN in the 1970s, less than a decade after the group first carried out its first attack. Since then, the rebel went underground and little is known about his activity within the group, except that he had ascended to become a member of the ELN’s five-person Central Command in the 1980s. In 1987, Beltran was one of the ELN’s representatives of the “Simon Bolivar Guerrilla Coordination,” an effort to join forces with the FARC and the now-defunct guerrilla groups EPL and M-19 and jointly overthrow the government. This initiative failed and both the EPL and the M-19 demobilized in 1991, leaving only the FARC and the ELN at war with the government. Beltran’s name reemerged in 1998 when the ELN agreed to peace talks with the administration of President Andres Pastrana, a year before Pastrana began talks with the much larger FARC rebel group. Talks with both groups failed in 2001. In late 2002, Beltran again took part in preliminary peace talks with the then-newly inaugurated administration with President Alvaro Uribe, but five years later, these talks also failed and the ELN commander returned to war. 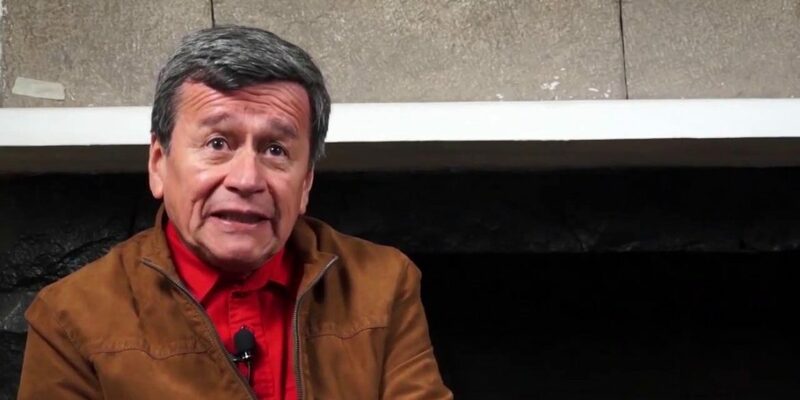 The guerrilla leader is currently considered the third most powerful ELN leader after commander-in-chief “Gabino” and “Antonio Garcia,” who is the ELN’s spokesperson at the peace talks that began under former President Juan Manuel Santos in February 2017. Beltran is currently in Cuba where he is waiting for President Ivan Duque to resume the talks that were suspended when the hard-line president took office on August 7, 2018.